Discussion in 'UFC Discussion' started by Evangelion, Jan 11, 2013.
according to Jason Coles(mmasun) and others on twitter. I wonder if they'd consider signing a big name Russian like Arlvovski. Khabib and Rustam would likely be on the card and maybe the debut of Adlan Amagov and Adam Khaliev. arlovski is not Fvking! russian! he's belarussian! I'd love to see Sergie though. AA isn't really a big star in Russia and isn't Russian. UFC is the pinnacle of MMA. If your a fan of MMA and live in Russia you know who the best guys are in the UFC and chances are very high you follow the UFC. Maybe they bring in a few Russian fighters to round out the card but they aren't going after any big names that is for sure (ie:Fedor or anything crazy like that). axe wound that's wound, not wound, idiot. 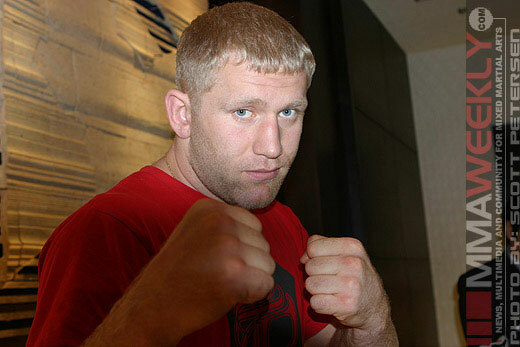 They gonna need some Russians in UFC then, for now there is only dagestanians in UFC, nothing bad about that i just dont think that they are marketable enought in Russia. Fedor vs lesnar as the co-main with the flyweight belt on the line! Everyone saying Arlovski isn't Russian, should understand that he considers himself Russian, and was born in the USSR. The part he was born in was only declared as Belarus in 1990. Not sure his association with Golden Glory will make it happen tho . Would be amazing tho . Once more, MMA fans will find themselves embroiled in a debate about ethnicity vs nationality. Well it will probably be a FX or Fuel card. May PPV's are memorial day weekend in Vegas. Do you got a source or something where he is saying it? All i heard is he said f*** Russia ones. If that happens, seems i'll have to apply for a Russian visa.. When he said that he was mad because Fedor and Sergei were saying he wasn't a "real" Russian. That's what he was responding to. Just imagine Dana, Lorenzo & Putin sitting next to. Ready for Andrei Koreshkov to finish walking through Bellator so he can hopefully come over to Zuffa like Lombard and [hopefully] Alvarez.